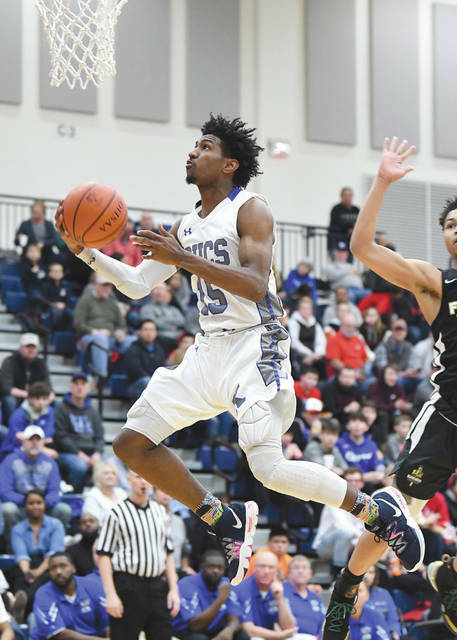 Xenia’s Samari Curtis, Ohio’s 2019 Mr. Basketball award winner, scored the second most points in a game, 44, at the annual Flyin’ To The Hoop basketball showcase on Jan. 19 at Kettering’s James S. Trent Arena, an 89-80 loss to First Love Christian Academy (Pa.). Throughout his high school career, Samari Curtis of Xenia High progressed from a finesse player to more of an inside presence on the court. Curtis was named Ohio’s Mr. Basketball on March 21. Four Centerville High Elks surround Samari Curtis of Xenia (15) in his final high school game, March 1 in Trotwood. 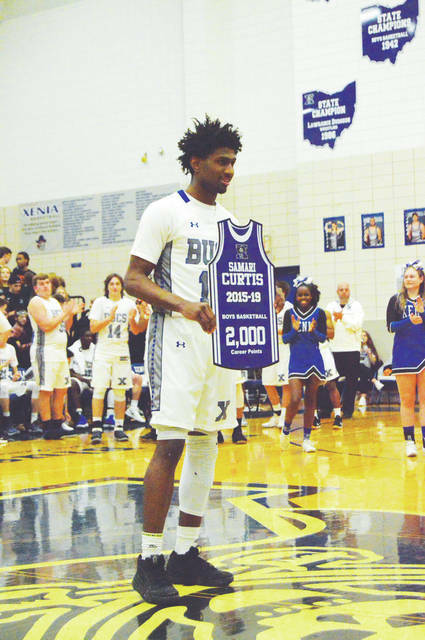 Xenia High’s Samari Curtis was recognized for surpassing the 2,000-point mark during his high school career on Feb. 14 in the high school’s Blue Pit gymnasium. Curtis finished his career with 2,109 points, all at XHS. 1988 — Jim Jackson, Toledo Macomber. XENIA — Ever since a tornado ripped through the town of Xenia, residents often have uttered the saying “Xenia Lives,” in recognition of its ongoing progress since that dreadful day on April 3, 1974. 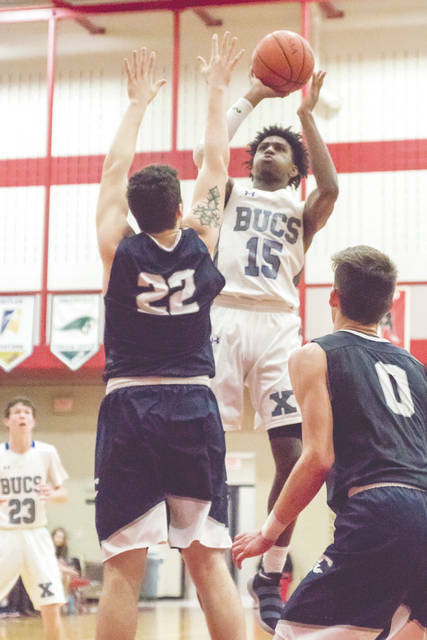 XHS senior Samari Curtis has been named Ohio’s Mr. Basketball for 2019, as determined by a distinguished panel of Ohio Prep Sportswriters Association and Associated Press media members. Anderson told Curtis he would be doing a routine interview in recognition of his being selected onto the Division I All-Ohio team as its Player of the Year. It wasn’t until he met with a local writer that the wily coach dropped the news. Curtis was overcome with emotion. “Lebron (James) is my most favorite player, ever. He’s the reason I started playing basketball. 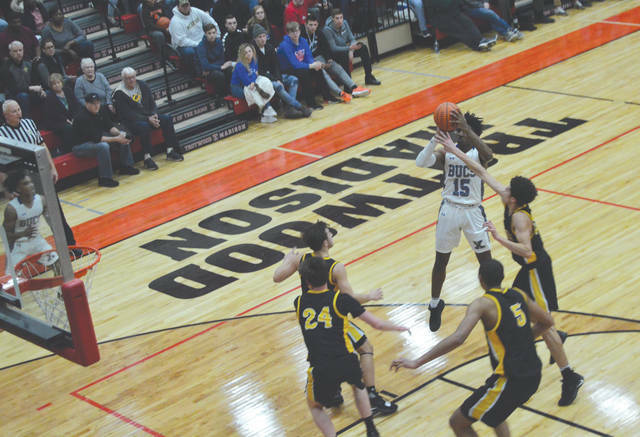 So to get an award that he got … it’s so humbling,” Curtis, a 6-foot-4 senior forward, said upon learning he would join his childhood idol as a recipient of the Mr. Basketball Award. James, now an NBA star with the Los Angeles Lakers, was the Mr. Basketball recipient from 2001 through 2003, during those years when Curtis was first learning the game from his older brothers Marcus and Aaron. 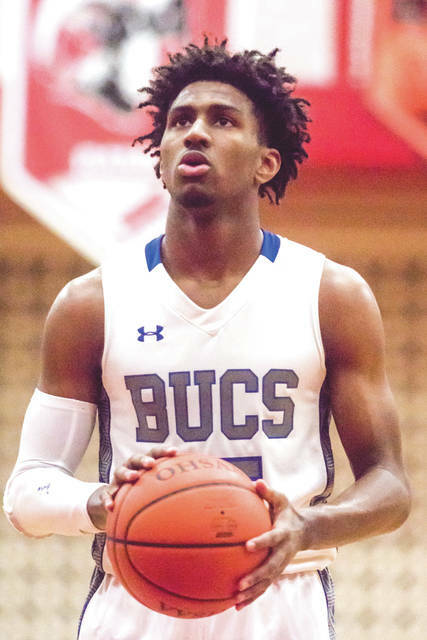 Curtis led the always-tough Greater Western Ohio Conference in scoring three of his four years with the Buccaneers. During his senior season, Curtis finished with a 34.4 points per game scoring average. He also had the second-most assists in the GWOC with 5.8 per contest. His 224 made free throws this season are unofficially the ninth most free throws made in Ohio High School Athletic Association boys basketball history. Curtis made more free throws than anyone else in the league had even attempted. His 514 career free throws made put him 13th on the OHSAA’s all-time list. He set the school record for points in a single game at 52 in a non-league home win on Feb. 5. At the prestigious Flyin’ to the Hoop basketball showcase in January, Curtis scored 44 points against First Love Christian Academy (Pa.). His total is the second most points scored in that event’s history. Yet despite all the scoring accolades, Curtis takes pride in his leadership qualities the most. Anderson says he had a hard time getting his star scoring machine to shoot the ball, when the preseason started. On a roster loaded with underclassmen, Curtis had other plans first. Curtis played a support role on the Buccaneers team as a freshman, but vowed to improve himself in the offseason. The day after that season ended, he was in the weight room. XHS Athletic Director Nathan Kopp appreciated the fact that Curtis stayed at the same school, despite there being other programs that would’ve loved to have him. “The number that resonates with me is “one” — the number of high schools Samari attended during his high school career! This is a tribute to Samari and his belief in Xenia, and it also says a lot about Kent Anderson and his coaching staff and the relationships they are able to forge with the student-athletes at Xenia High School,” Kopp said. Curtis is now headed to the University of Cincinnati to play for Mick Cronin and the Bearcats. He hopes to major in Business Management at UC. Curtis is the son of Revonne Arrington, who lives in Xenia. His father, Marcus Curtis, resides in Columbus. Contact John Bombatch at 937-372-4444, Ext. 2123.